Sometimes I'm a ketchup guy, and I love some of the Chicago varieties - anything with bacon is always a winner. But my favorite way to enjoy a hot dog is plain, nothing but the bun, which should always be slightly buttered and slightly toasted. 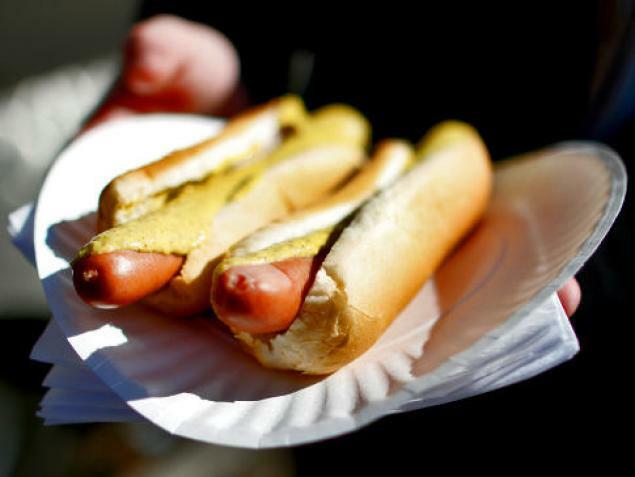 If it is truly a good hot dog, it doesn't need anything else. Bacon? That's crazy talk--or is it? Dog wrapped in bacon, piled high with onions and peppers sauteed in the renderings; nothing else, unless it's some hot sauce. If I'm at the Stadium, it's always mustard & onions. But anywhere in the midwest it's Chicago-style. And if you're ever in Baltimore, Camden Yards actually has an amazing polish with sauteed onions and peppers. i'm with you shaun. most of the time i am happy with a plain hot dog and bun. 5) I've never been but was planning to go this season. Duly noted, thanks. Mustard and sauerkraut. The best. 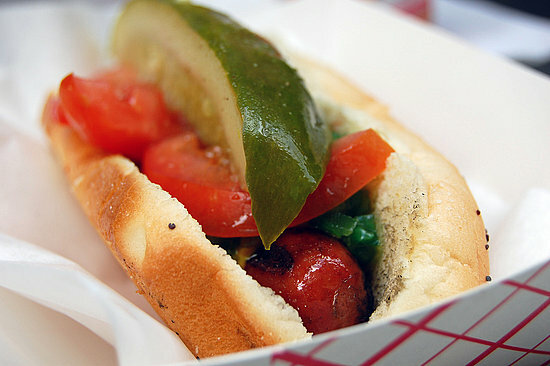 But a good Chicago-style dog, hard to find in these parts, is fantastic. I've actually mail ordered the entire kit from the Vienna website to make them at home. Delicious! Sure thing. I also recommend the outfield bleachers if you're looking for a great spot at a good price. Even when the Bombers are in town it's only around $30 a seat and it's a great view -- not to mention prime long ball territory.